I have '04 Taurus with 80k miles and had the starter replaced for the 5th time. Usually what happens after the starter is replaced, the car starts fine for a few months then I get these random "cold starts" where the engine cranks more than normal before it starts. This will also occur when warmed up. I've had the fuel system and crank sensors checked, pcm firmware upgraded and complete tune-up in the past, it runs like a champ. Last month I was having starting issues so I took it to the Ford dealer and was able to "reproduce the symptoms" After burning up my starter during testing, they recommend cleaning my fuel system, injectors etc... Well, I passed on that and came across posts about the IMRC gasket issue in couple of other forums. Will replace mine and see what happens. 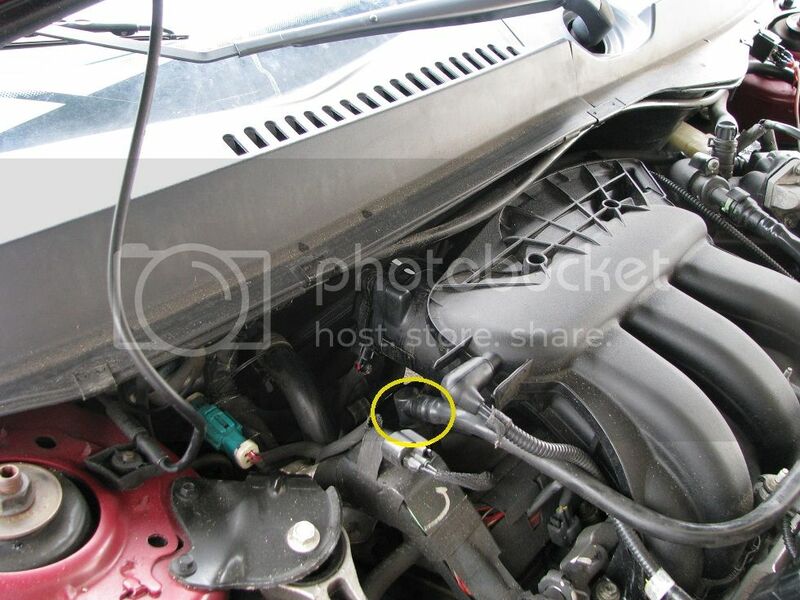 Can you show and/or tell me where the PCV valve is. My motor looks identical to yours. I've been searching in a lot of different places and still can't find it. Stuck in a hole on top of the rear valve cover, towards the passenger side strut tower. It has an electrical connector coming out of it. Ford decided in '04 to go with a heated PCV valve which is why it has an electrical connector and it also costs more than a traditional valve. It twists on and locks in place with two small plastic clips. The only way to remove the old one (afaik) is to break the clips on the old one so you can pull it out. This is a great write up. I have been trying to fix my po1704 error for a year. I also found out that if you replace your fuel filter and air filter it will help take the po1704 out of the system. But in my case it only worked as a temp fix. I did spray some electrical cleaner by the IMRC and thats how I found the problem. Again thank you for the right up. All I can say is THANK YOU! This post has helped me so much. I did the good ole cigar trick and found this was leaking profusely! Love you my man! Your pictures, step by step explanation and tool selections were spot on. Thanks for all of your assistance. Great Step by step tutorial! I found that a FL-820S Motorcraft gasket worked perfectly once grinned down a tad. I created an account just to bump this thread and say this info was gold! It saved me alot of hassle and work. Thank you op.. From the depths of the internets.. I thank you! !